What Does Hosea 10:12 Mean? The Bible is filled with truths on reaping and sowing, indeed the apostle Paul reminds us that we reap what we sow, either to evil or to good. And like Paul, the prophet Hosea also recognised the deeper truth that is packed within these simple words - that the fruit of righteousness produced in man is only from God, and that it is due to His loving-kindness and tender-mercy that the trusting heart is able to partake of any righteousness. Indeed, the fruit of the Spirit that forms in the life of a believer, is only and always a manifestation of God's mercy and grace, working in and through His child, for Jesus said, without Me you can do nothing. But a Christian who has become lukewarm and careless towards God or one that doubts the truth of God's word needs to break up the fallow ground - to revisit God's word of truth and to root-our weeds of bitterness, legalism, un-forgiveness, unbelief, disinterest or distrust, so that the seeds of righteousness sown in our hearts can take root, as we grow in grace - to the glory of our merciful God. 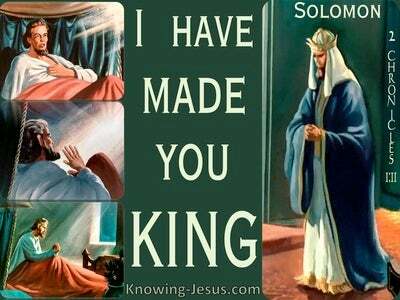 It was to Israel to whom the prophet Hosea was writing these solemn words, for individually and as a nation they had rebelled against the Lord. They had followed after other gods, committed spiritual adultery, strayed far from the God of their fathers and become estranged from the One Who chose them to be His own special inheritance. And Hosea was calling the errant nation of Israel to repent of their sins; return to their first love and seek the Lord with all their heart if they were to avert the rapidly approaching judgement that had been prophesied by so many holy men of God. 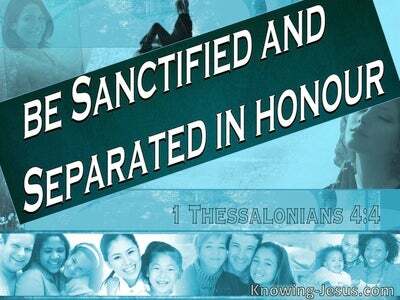 Sow to yourselves in righteousness and reap according to mercy, Hosea warned. 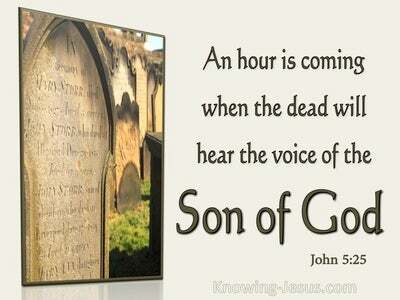 Break up your fallow ground: for it is time to seek the Lord. The people of God were to rend their heart in sincerity and truth and not to simply tear their clothes in an outward show of mock remorse and hypocritical actions, if the coming judgement was to be averted. 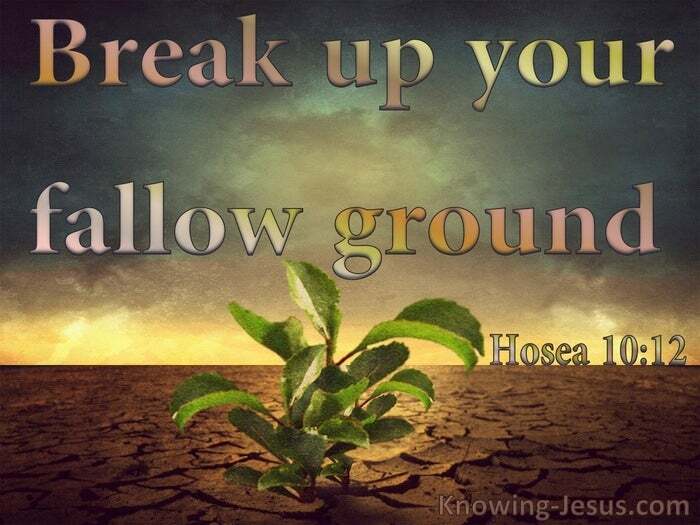 But the call to break up the fallow ground and turn over the unploughed earth is an equally urgent call to the body of Christ in this apostate Church age, as it was at the time of Hosea. 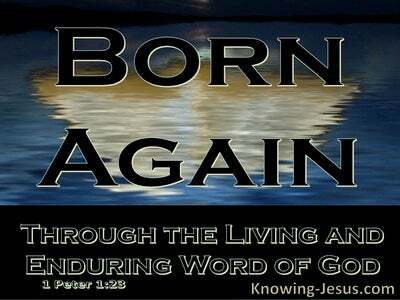 Today as then, many Christians have strayed far away from the glorious gospel of grace and are proclaiming another gospel and a different Jesus. Many are seeking after other gods as they pursue a different gospel - a cross-less gospel; a seeker-friendly gospel; a social gospel; a prosperity gospel - a gospel devoid of truth. Many are running after a Godless gospel that has strayed far away from the foundational doctrine that was once offered to the saints by the apostles and prophets of the New Testament. 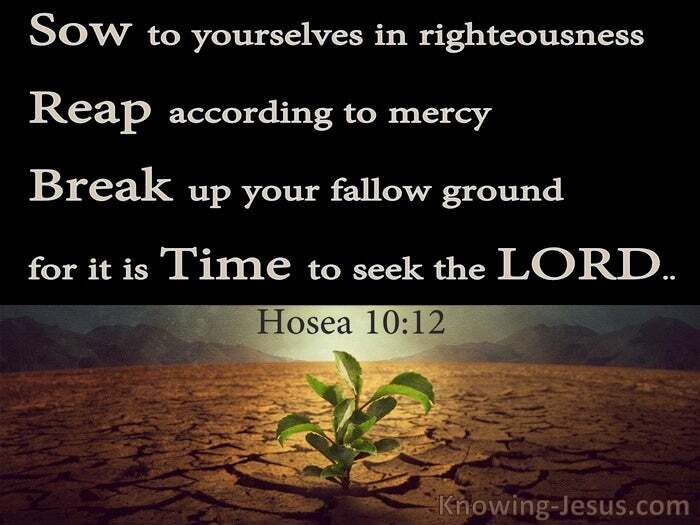 May we take to heart this serious warning of Hosea to sow to ourselves in righteousness, and to break up the fallow ground in our own lives - knowing that it is time to seek the Lord, but let us remember that now is the accepted time to do this - tomorrow may be too late. Loving Father thank you for the reminder that I need to root out all bitterness, un-forgiveness, legalism, disinterest, distrust and unbelief in my heart, for I want to sow unto myself righteousness knowing that it is only through Your loving-mercy that such fruit will grow. I pray that I will not delay in breaking up the fallow ground in my own heart, knowing that today is the day I need to seek You with every fibre of my being – this I ask in Jesus name, AMEN.